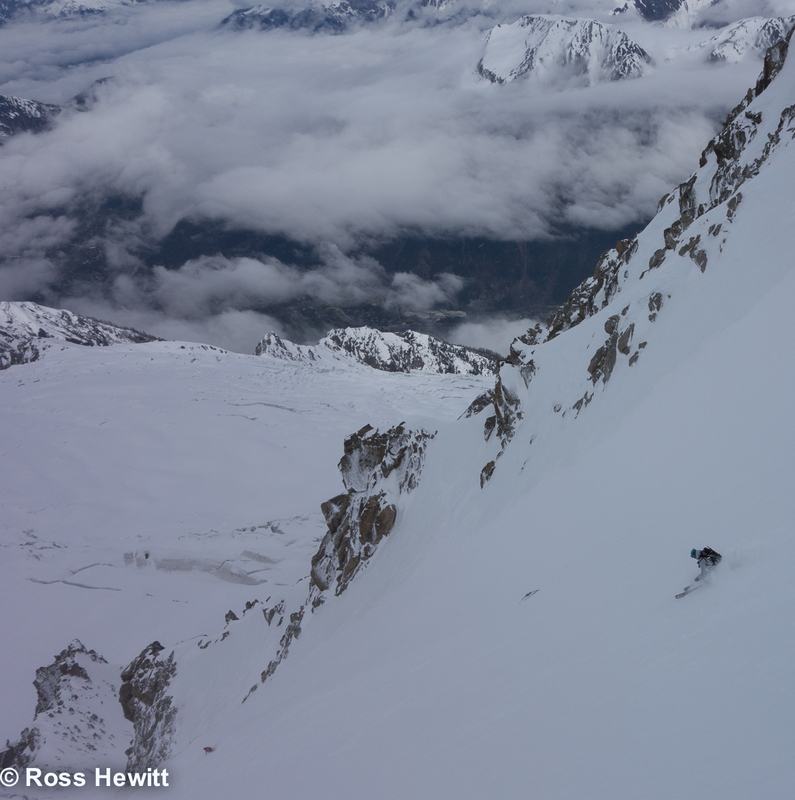 The 20% forecast with Foehn today was just good enough to ski a Cosmique. Its well filled in now and you can sidestep in a few metres at the top before skiing – no more rope faff! Definitely a nice relaxed Sunday run. 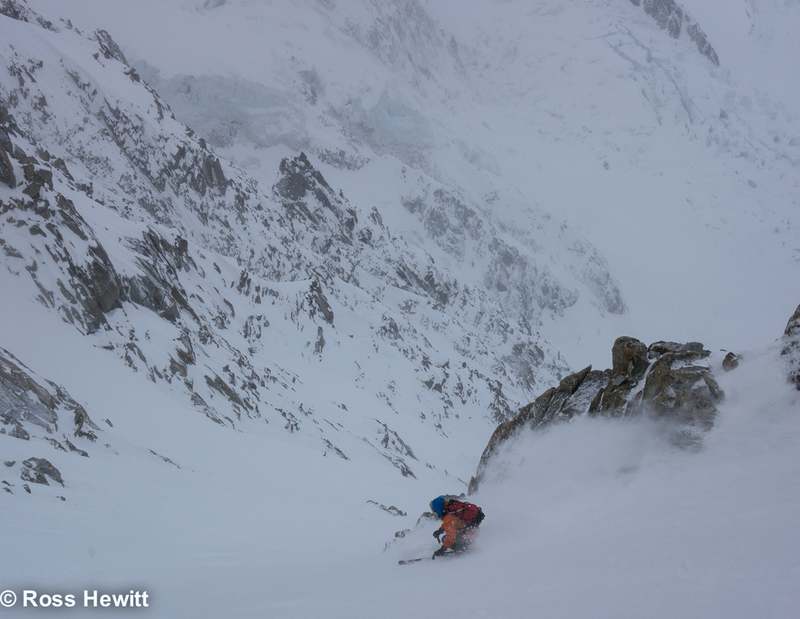 This entry was posted in Skiing and tagged Aiguille du Midi, スキー, パウダースノー, フリーライド, beau, Ben Briggs, Chamonix, Chamonix conditions, Chamonix Mont Blanc, Cosmique Couloir, 粉, вне трасс, катание на лыжах, порошок, esquí, esquí de montaña, 雪, Flegere, Freeride, Freeride Skiing, Gebirge, Gnarly, Macho Couloir, montañas, Montagne, Mountains, neige, neve, nieve, снег, Offpiste, polvere, polvo, Poudreuse, Pow, Powder Skiing, Pulver, Pulverschnee, rad, Ross Hewitt, Schnee, scialpinismo, Skifahren, Skiing, Skitouren, snow, Tom Grant, 关闭滑雪道, 山, 山スキー, 山地, 滑雪 by Ross Hewitt - Skiing, Climbing, Photography. Bookmark the permalink.